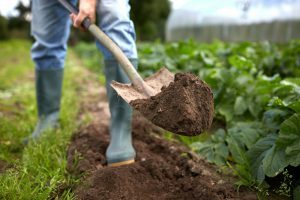 Could Soil Impact The Climate? Climate change is on everyone’s mind these days, and whether or not you agree with this particular scientific theory, it never hurts to do your best to improve the world around you where you can. When it comes to farming and agricultural industries, there appears to be a shift in practices to meet this issue. In this article, we’ll be discussing soil, and how this may potentially impact climate change. Since the advent of farming, soils used for agricultural purposes have lost 50-70 percent of their natural carbon. This number is even higher in certain parts of the world, such as south Asia, the Caribbean and sub-Saharan Africa. Across the globe, these soils could actually absorb 80-100 billion metric tons of carbon. This would be revolutionary; it would mean that atmospheric carbon dioxide could be reduced by 38-50 parts per million. In 2017, we’ve reached new symbolic thresholds of atmospheric carbon dioxide. At above 400 parts per million, warming across our planet could begin to spiral beyond control. The depletion of carbon from cultivated soils for farming has played its part in this. When carbon leaves the soil, it mixes with oxygen to create carbon dioxide. After plowing fields to leave layers of earth exposed to the elements, this could amount to more and more carbon escaping from soil. What can we do? Rather than trying to sustain a resource such as soil, that has lost so much of its original matter, it’s about being regenerative. We need to find a way to filter carbon from the atmosphere and reposition it within the cycle of soil, where it belongs. This would require a huge transformation in the way we conceptualise and apply agricultural practices globally. Soil could turn out to be a massive factor in how we combat climate change. So does soil represent a beacon of hope in the face of chaotic weather patterns and rising sea levels? While changes to farming and agricultural practices are occurring slowly across the world, times are a-changing. Alpha Environmental are soil experts, and offer contaminated soil testing services. Get in touch by calling 1300 039 181 for more information today.